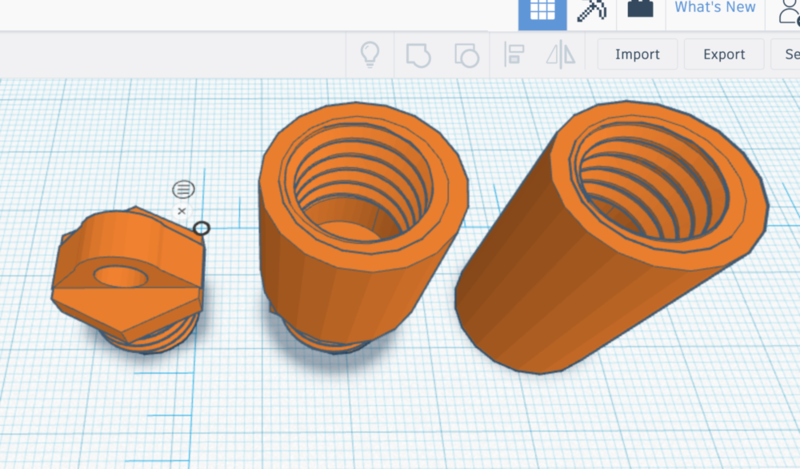 Posted April 8 · Cura Creating Unwanted "Keyways"
Created some cylinders in TinkerCAD for a pill bottle; image attached. After slicing, Cura shows "keyways" -- vertical areas where the walls are missing. What am I dorking up? Looks like you have enabled Coasting in Cura. Check this setting and uncheck the checkbox if enabled. Why would an experimental setting come as pre-enabled? 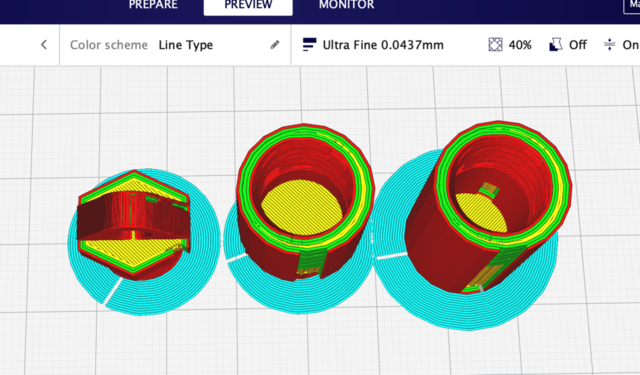 Posted April 9 · Cura Creating Unwanted "Keyways"
I don't think it's standard for any of the ultimaker profiles but maybe for other printers?